If friends were flowers I’d pick you! 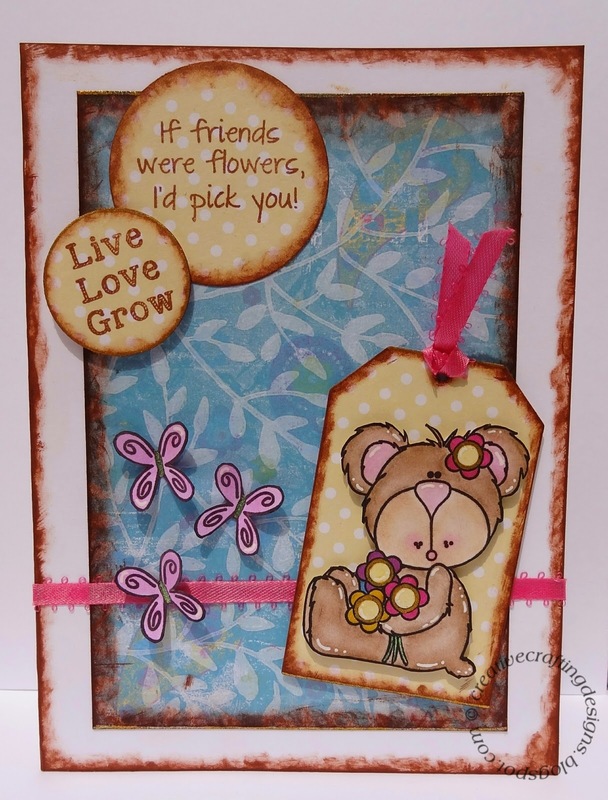 Here’s an adorable card I created using Craftin Desert Diva’s (CDD) Blooming For You stamp set. 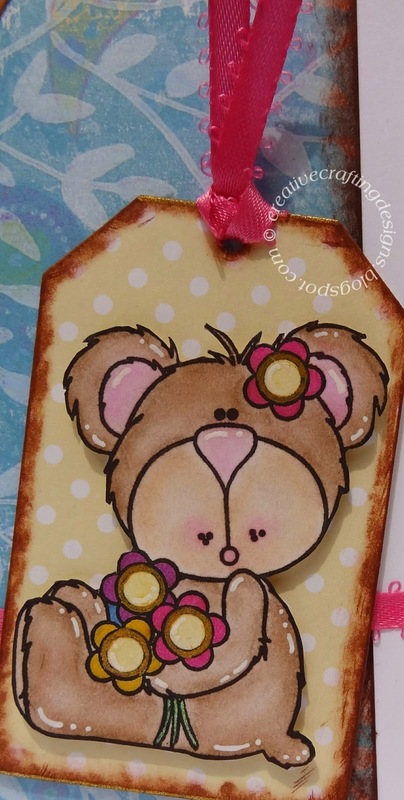 First I have to tell you how much I love Craftin Desert Diva’s stamps. They have such adorable stamps and they stamp really nice images. So, on to how I made this card. 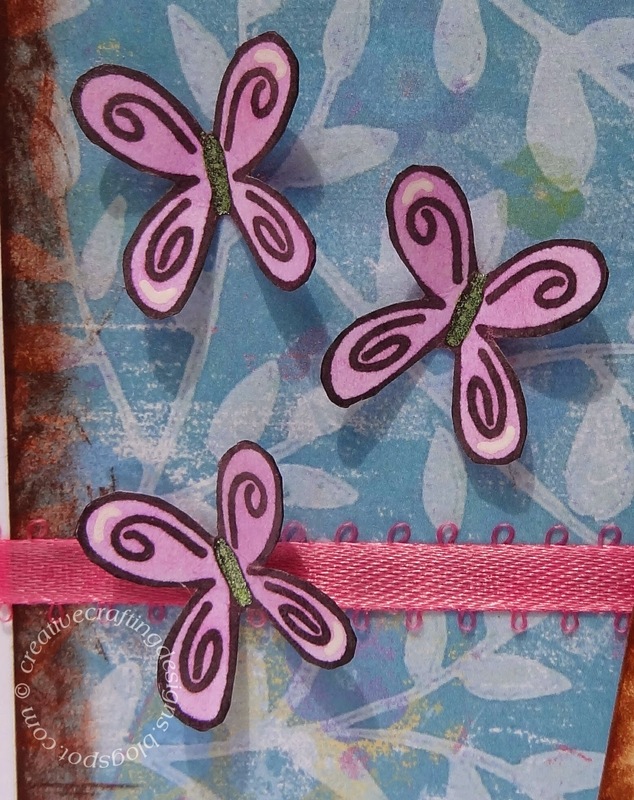 First I stamped the bear and butterflies using American Crafts pigment ink. Something the ink stays wet for a bit so I just use my heat gun to speed the drying process. Once I knew the ink was dried I cut the stamped images out and colored them. I colored them using mostly chalk, a little bit of sharpie markers, then added a little sparkly touch using glitter gel pens. I also added the little white details on the bear using a white gel pen. Just a little note, the tools I use when chalking are disposable lip applicators and chalk pom-pom’s. I cut my card base from recollections card stock and some patterned paper from my paper stash using my Cricut Explore. I then cut the tag and circles using Quickutz nesting dies. After everything was cut I inked all the edges using Rubber Stampede dye-based ink and a disposable lip applicator. 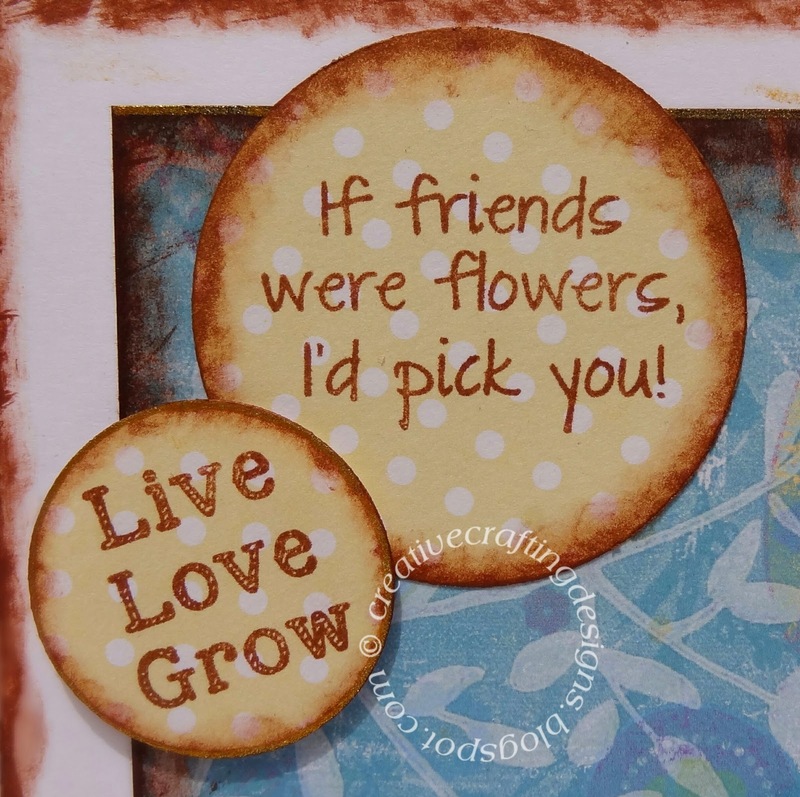 These sweet sentiments are also from the CDD Blooming For You stamp set. I stamped them with Rubber Stampede dye-based ink. Then, I attached everything to the card, I used foam tape on the small circle and bear to make them pop out a little. One last thing, the ribbon. It’s a pink Offray and I attached it by using a small paint brush to lightly brush on Scotch Quick-Dry adhesive. I also tied a piece to the tag. Thank you for stopping by my blog, come back soon.